Alfa Romeo celebrates limited models, the 100th anniversary of the legendary race track, which was first opened in 1927. The Nürburgring has represented the essence of motor racing: its unique track layout through the forests, its endless bends, its variable bumps, gradients and descends as well as its popularity with the crowds have made the German track a promised land to fans and the setting for epic feats. The many pages in the Green Hell's almost a century of history include exciting contributions from Alfa Romeo, which nurtured its myth through a wealth of victories and memorable records at the Nürburgring. Alfa Romeo Stelvio Quadrifoglio, the first SUV in the brand's history, holds the record for its segment, having completed the 20.832 km of the Nordschleife in 7 minutes 51.7 seconds. Ferrari's advanced 2.9-litere V6 Bi-Turbo engine ensures performance, which produces 500 hp and 600 Nm peak torque, which allows the top speed of 283 km/h and acceleration from 0 to 100 km/h in just 3.8 seconds. 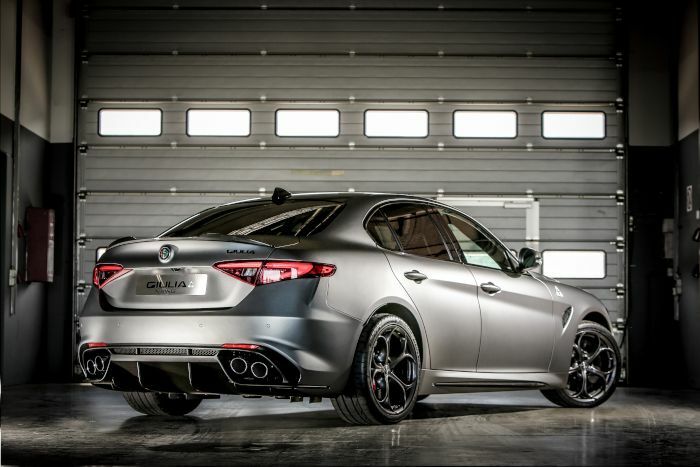 Giulia Quadrifoglio has a lap time of 7'32", achieved thanks to its superlative handling, top speed of 307 km/h and acceleration from 0 to 100 km/h in 3.9 seconds. 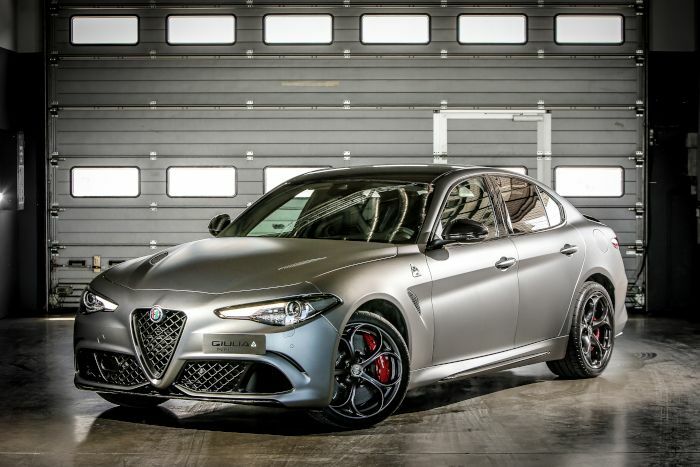 The Giulia Quadrifoglio "NRING" and Stelvio Quadrifoglio "NRING" Nürburgring Limited Editions have been created to celebrate this historic bond, recently given new life by the new Quadrifoglio models' thrilling performances. The same bond is also reflected in an inspiring set of photographs showing the two cars in the context best suited to their amazing characteristics, on the 'Ring's most iconic bends and its most emblematic sections, including the famous Caracciola-Karussell. 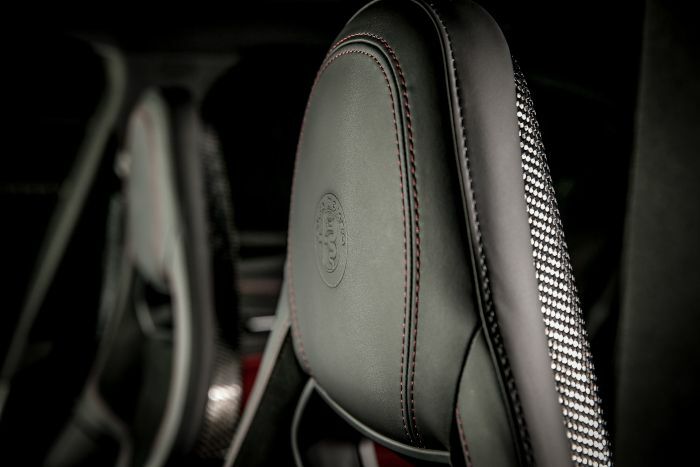 The new models will be available, for the EMEA region, in an edition of just 108 of each model and intended for collectors and the most loyal Alfa Romeo customers, the new limited editions have exclusive contents, such as the numbered badge in the carbon fibre dashboard insert, and the unique Circuito Grey livery, exclusive for this limited edition. 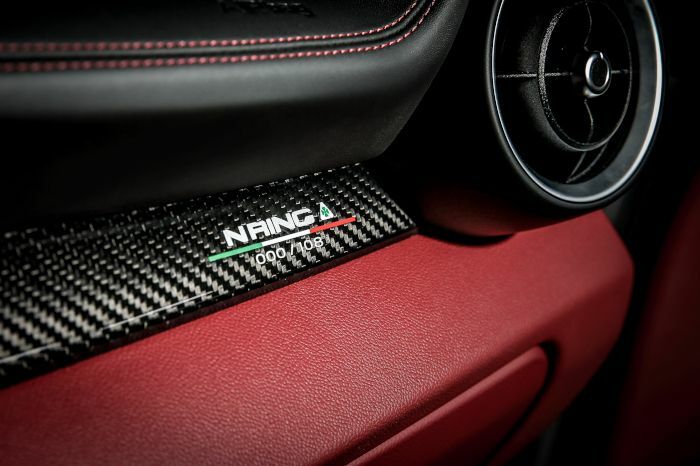 The „NRING“ models to the features of excellence that characterise all Quadrifoglio cars, standard equipment on the "NRING" special series is full specs and includes carbon-ceramic brakes, Sparco® racing seats with red stitching and carbon shell structure, Mopar® automatic transmission knob with carbon insert, leather and Alcantara steering wheel, also with carbon inserts. 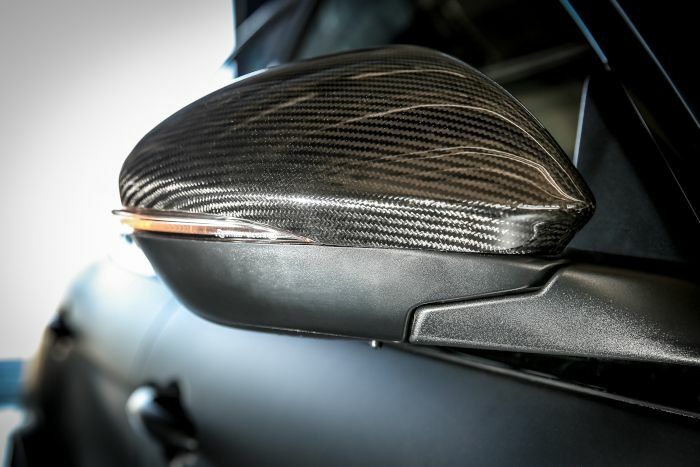 The front badge and the rearview mirror caps are made of carbon fibre, like the side skirt inserts. Not to mention tinted windows, Adaptive Cruise Control, the Harman Kardon premium audio package, and the AlfaTM Connect 3D Nav infotainment system with 8.8'' screen, Apple CarPlayTM, Android AutoTM and DAB. Giulia premieres the new bare carbon roof, and Stelvio is equipped with electrically operated panoramic roof. Both have mats with red logo developed by Mopar. Stelvio and Giulia Quadrifoglio Nürburgring Edition sporting the "NRING" badge, are beyond top-range and perfectly showcase the excellence of Alfa Romeo. 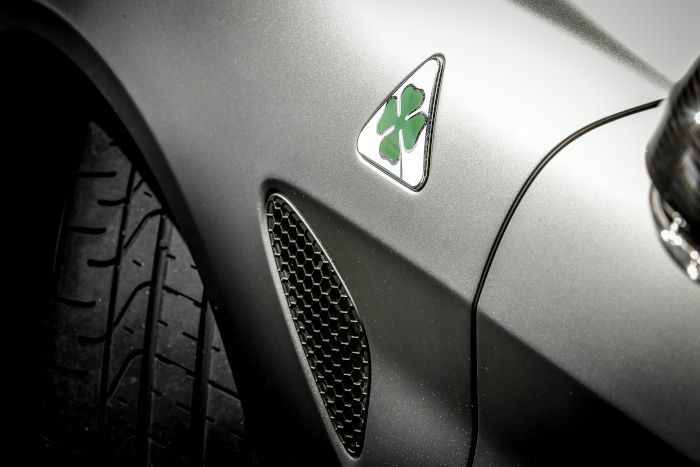 The Quadrifoglio models are paragons of engineering quality and superior performance in themselves. For example, on Stelvio, for the first time, the 2.9 V6 Bi-Turbo powerplant is combined with the innovative Q4 all-wheel drive system, with its guarantees of unbeatable performance, traction, driving pleasure and safety in all situations. 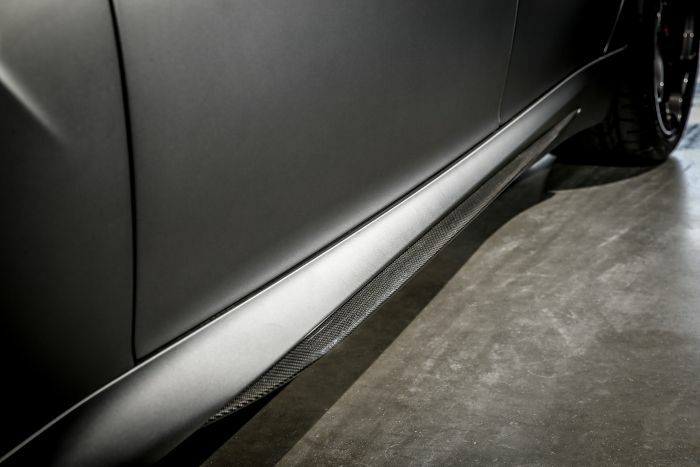 Both cars also incorporate AlfaTM Chassis Domain Control, which coordinates all the on-board electronic systems, to deliver the best performance and the utmost driving pleasure at all times. 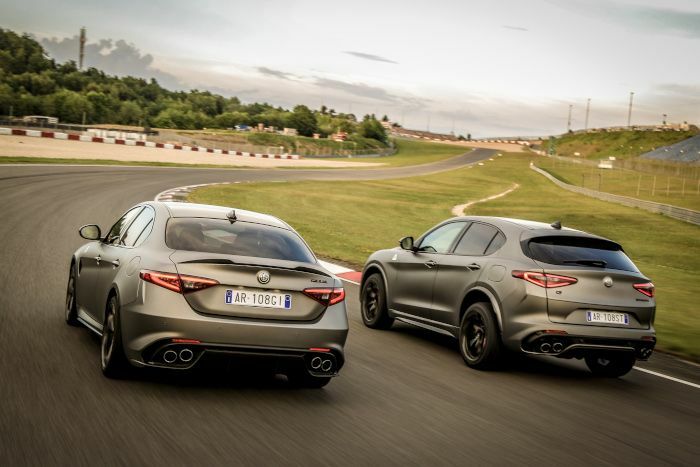 Specifically, the system manages and simultaneously assigns specific tasks to the various active systems, such as Q4 all-wheel drive (on Stelvio Quadrifoglio), AlfaTM Active Torque Vectoring system, Alfa™ Active Suspension, ESC and AlfaTM DNA Pro selector with Race function. The Torque Vectoring technology optimises Stelvio and Giulia's drive distribution and accentuates their sporting character. The two electronically controlled clutches in the Torque Vectoring system make it possible to control torque delivery to each wheel separately. This ensures the optimal transfer of power to the ground in all driving situations. This makes the Stelvio safe and fun to drive at all times, without recourse to intrusive inputs from the stability control system. The 8-speed ZF automatic transmission, supplied as standard, is specifically calibrated to shift in just 150 milliseconds in Race mode. The transmission has a lock-up clutch to give the driver a powerful, precise feeling of in-gear acceleration. Depending on the DNA mode set, new auto 'box optimises fluidity, comfort and ease of driving in all environments, including around town, and further improves fuel efficiency and cuts CO2-emissions. So the excellence on offer is not just in performance: both the Alfa Romeo sports SUV and the sedan are also incredibly efficient in terms of emission and fuel efficiency, thanks also to their electronically controlled cylinder deactivation system and the sailing function, available in Advanced Efficiency driving mode. The purchasing experience begins even in the run-up to delivery, as the car's arrival is preceded by consignment of a numbered model to scale 1:18. There is another surprise in store when the car is collected: on board, the purchaser will find the Welcome Kit, comprising Sparco® racing gloves and customised soft shell jacket, sports bag in the Alfa Romeo pattern, "Quadrifoglio" cuff-links and the original footwear created by Car Shoe, Alfa Romeo licensee for a "Quadrifoglio" capsule collection. In leather and technical fabric, the shoes are inspired by race boot design and carry the symbol that most effectively embodies the Alfa Romeo brand's highest performances. 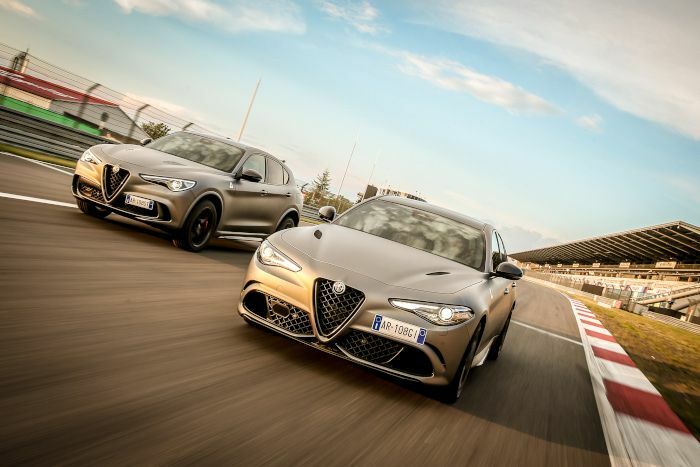 And there's more: all Alfa Romeo Stelvio Quadrifoglio "NRING" and Giulia Quadrifoglio "NRING" owners will be able to attend, during 2019, a sports driving technique course on the Nürburgring circuit. A specific telephonic concierge service will assist NRING customers throughout their Alfa Romeo experience.